No Charge Lifetime Warranty & Lifetime Oil Changes Included on all New Honda and most used cars. Unlimited Miles, Unlimited Time, and good anywhere in US and Canada. Family owned and operated since 1976. Our tagline says it all, "A Friend of the Family." One of the fastest growing Auto Dealerships in the Seattle area for a reason. Our service department offers a Lifetime Brake Guaranty. We will meet or beat any Puget Sound Certified ASE repair shop for repairs and service. Another Klein Advantage is service and parts open 7 days a week! 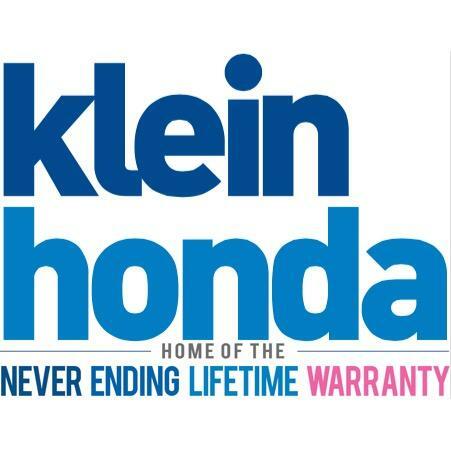 Klein Honda Promise - Complete Ownership Satisfaction since 1976! It is simple, we want to earn your business and continue to offer an exceptional service and sales experience. If not already, come visit Klein Honda in Everett and become "A Friend of the Family." Visit website for all current specials and coupons. Klein Honda in Everett provides: Honda Dealer offering new Hondas, used Hondas, financing new and used, Honda parts and Honda accessories, Honda repair, Honda Service, Honda maintenance, Honda oil change, Honda discounts, Honda service coupons, Honda sale, Honda tires, and timing belt service, Honda Accord, Honda Civic, Honda CRV, Honda Odyssey, Honda Pilot, Honda Fit, Honda Hybrid, Honda Ridgeline, Honda CRZ, Honda Crosstour, Honda Insight, Honda Certified Used Cars, Used Honda. I am in the market for buying a car. It really does not matter a lot how many good reviews I see. The turn off is the bad reviews.\r So this dealer is out of my list.